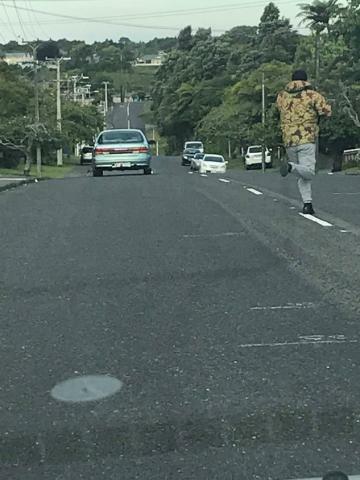 Police have arrested one man in relation to the Pizza Hutt robbery in New Plymouth. The robbery occurred around 7pm Friday 23 November, where another man entered the restaurant on Tukapa Street armed with a machete. He threatened a staff member and stole a quantity of cash. Another staff member had their hand cut by the machete while trying to stop him. The man then ran off and got into a light blue Nissan Maxima sedan with the registration WS6931, which was waiting on Sanders Avenue. A 39-year-old local man, who was waiting in the car, has now been arrested and remanded in custody. He will appear before the courts on 28 February 2019. The investigation is still ongoing to find the offender who robbed the store with the machete, and Police are still keen to talk to anyone who may have seen the car or those involved. People are asked to contact New Plymouth Police on (06) 759 550 or Crimestoppers anonymously on 0800 555 111.